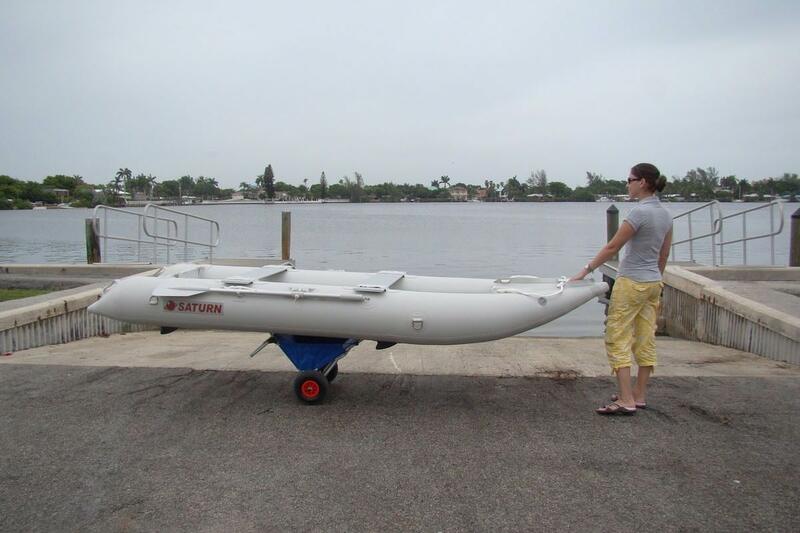 Move your KaBoat, kayak or SUP with easy, sit when you done or haul cargo anywhere. Suppose you park your car to go for some kayaking. 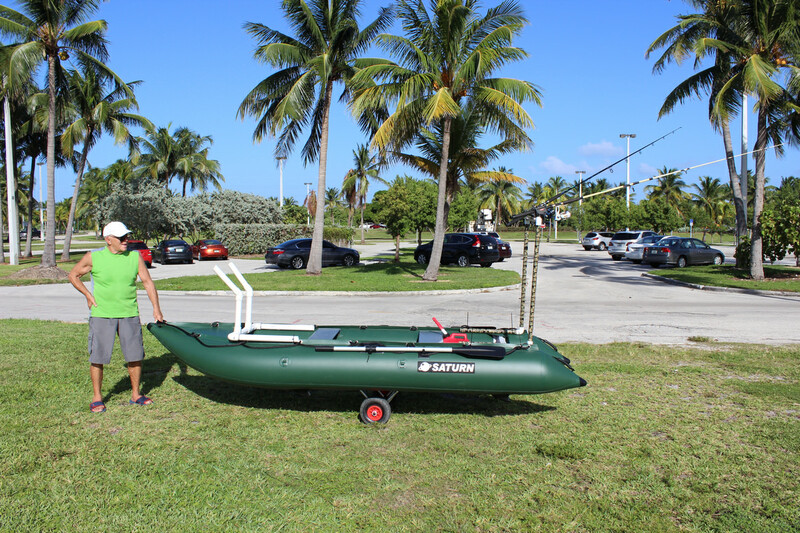 Load your kayak or KaBoat or paddle board on a beach trolley and easily roll it to the water line. When you come back to the shore, you can use this trolley as a beach chair and enjoy some comfortable rest. No needs to drag a heavy kayak long distances and then look for place to sit. Also, great for hauling gear from your car to the beach and back. 1 product - 3 great uses! Constructed of high quality anodized aluminum alloy for a very long life, it can be folded down to a compact size, while the pneumatic 10" diameter by 3" wide heavy-duty, all-terrain wheels are easily removable. This cart is ideal for hauling of kayaks, canoes, SUPs, surfboards, KaBoats and other small watercrafts. Quick Tip: You can use optional rubber bungee cords or adjustable straps to secure kayak to the cart when pulling/pushing kayak. Free Bonus: removable, extendable handle that converts kayak cart into cargo hand track to move your gear or cooler around. However, if you are not planning to use this trolley as a hand cart, simply discard handle or keep it for a future use. Note: Easy assembly of axle is required. Simply insert axle tube into back support tubes and secure with provided hex tool. Question: How to prevent axle from falling out from cart frame? Answer: There are 2 hex screws inside black plastic inserts that goes into cart frame. Hex screw need to be properly tightened, so that to expand rubber seal inside cart frame tube. That will keep axle tube from falling out.